Are you looking for German Bedrooms in NYC? German Design Center features award-winning European furniture designs and innovative modern bedroom sets engineered by leading German furniture brands Piure, Hulsta, Team 7, and Rauch. German furniture features flexible pricing structures and custom contemporary furniture designs. Modern furniture is as much art as it is furniture, with an emphasis on self-expression balanced elegantly with the importance of comfort. German Design Center creates a functional and beautiful space, developed and manufactured with durable materials, that ensures both comfort and style for years to come. A well designed bedroom set transforms a plain, unadorned space, into a lifestyle hub. Your modern bedroom set is a nexus for your belongings, your privacy, and of course an oasis for you to relax. Whether you are in need of a modern closet to store your clothing, a modern desk to complete your work, or a modern bed to wind down in at the end of a long day, a modern bedroom space will truly transform and enhance your lifestyle. The German Design Center showroom is conveniently located in the heart of Chelsea, NYC. Come experience our exhibition of furnishings for your home, where you will be inspired by the styling's of visionary designers. Let us welcome you into our contemporary galleria, where our expert interior designers are ready to help you choose the right modern bedroom set that complements your style and aesthetic sense. 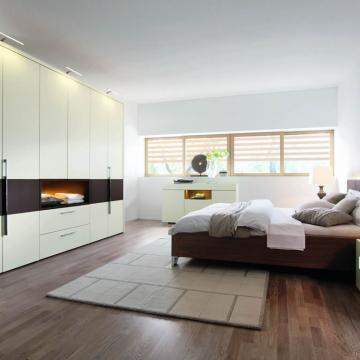 For more information about German Bedrooms in NYC, call German Design Center at (888) 209-5240.